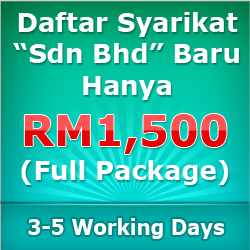 Stamping Fee for Company's Constitution- RM200 (optional). 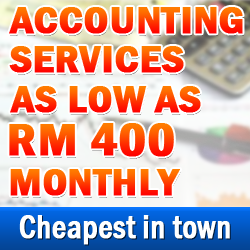 Runner Fee for miscellaneous task- RM20. It takes just 3 to 5 working days to incorporate a new SDN. BHD. COMPANY. Lodgement of Annual Return to SSM of RM270 (inclusive of SSM Fee of RM150) and lodgement of Audited Accounts to SSM of RM170 (inclusive of SSM Fee of RM50). 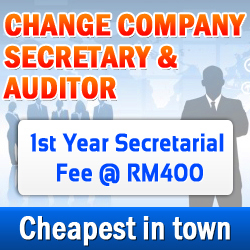 Annual Fee for Audit Service of RM1060 to RM3,000. 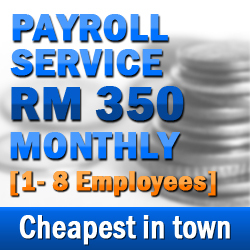 We have a group of human resource personnel to provide the Outsource Payroll Service to your organization.